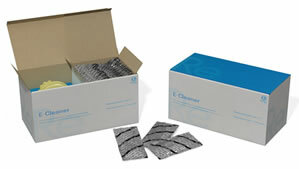 Remove the filter from the machine and place the CPU (cleaning powder unit) in the machine where the filter was. Pour one packet of e-cleaner powder into the CPU and close the top. Put both hoses into a cup or pitcher. Run the water until the ends of both hoses are submerged in water. Let the machine soak for 5-8 hours or overnight. Rinse the machine by running water for 10-15 minutes with the CPU still in place. Stop the water and remove the CPU and put your filter back in. Even when you do e-cleanings regularly, you will still need to have a deep cleaning done at least twice a year. This will ensure maximum effectiveness and yield the best results for your Kangen Water®. ALWAYS allow the machine to clean itself after making strong acidic water to prevent this highly acidic substance from soaking on the plates. If this happens repeatedly without proper maintenance, the plates can eventually become damaged. 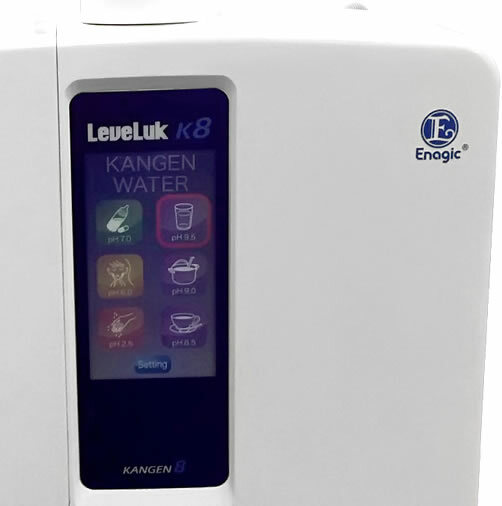 After making strong acidic water, change back to drinking water and run water through the machine until it goes back into Kangen mode. Like anything else, care is essential to ensuring the best performance and longevity of your machine. Protect your investment by taking the simple steps in properly maintaining all of your Kangen Water® ionization systems. 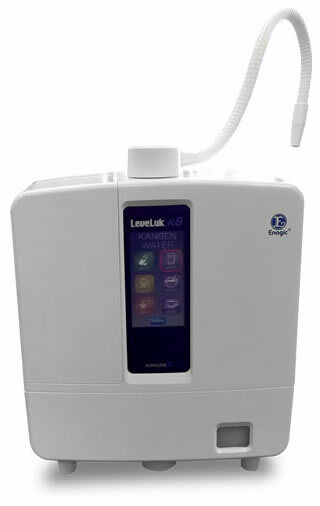 Categories: Acidic food beverage, Alkaline food, Alkaline water, Chemical reduction, Chlorine removal, Countertop water purifier, water filter, detoxify, Hydration, improve health, increase energy, Ionized water, Kangen water | Tags: alkaline water, anti-oxidant, chlorine removal, Enagic, Kangen 8, Kangen water, killing cancer, made in Japan, miracle water, oxidation reduction potential, SD501, strong acidic, strong alkaline, super anti-oxidant | Permalink.